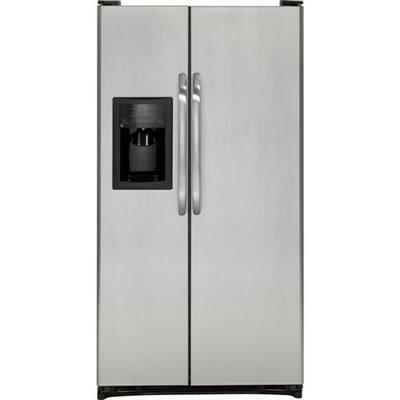 GE® ENERGY STAR® 21.9 cu. 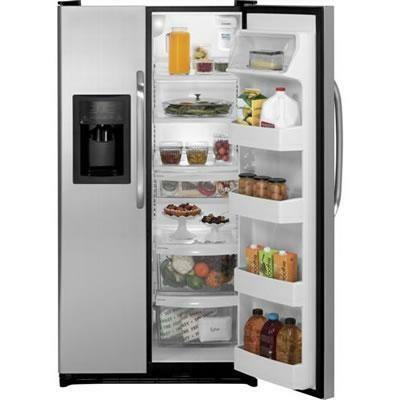 ft. side-by-side refrigerator with dispenser features ClimateGuard system, external temperature controls with child lock and UltraFlow64 and adjustable-humidity drawer. Additional Dimensions Overall Depth: 33 5/8 in; Case Depth Without Door: 28 in; Depth with Door Open 90°: 49 3/8 in; Height to Top of Case: 66 1/2 in; Width w/Door Open 90 Degrees Incl. 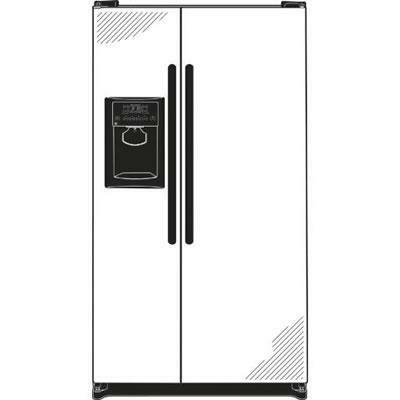 Handle: 36 in; Width w/Door Open 90 Degrees Less Handle: 33 5/8 in; Back Air Clearances: 2 in; Side Air Clearances: 0 1/8 in; Top Air Clearances: 1 in.